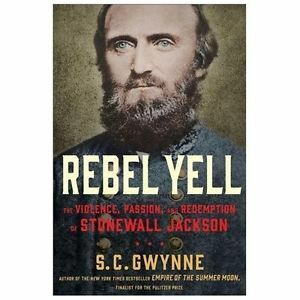 I just finished reading an Advance Reader’s Edition of “Rebel Yell—The Violence, Passion, and Redemption of Stonewall Jackson” by S. C. Gwynne. Advance Reader’s Editions usually are full of typos and errors, and this one was no exception, including it noting that Benjamin Franklin (1706-1790) signed the Constitution in 1887……. Notwithstanding that, though, I learned about a horse that is 165 years old! Its name is Little Sorrel (1850-1886) and it was General Jackson’s horse from the Civil War. “How,” you might ask, “is General Jackson’s horse 165 years old? Well, I’m glad you asked! Personally, I think that’s creepy. My dad killed an 18-point deer when he was very young. Granddad had the deer head stuffed, and it hung on the wall of the living room. I despised that thing. In 1968, my oldest uncle from Los Angeles, California, came home to visit Kingsville, Texas, for Christmas. He took the deer head back to L.A. with him. I was never so happy to see something gone. Stuffed heads and animals are common interior decorations, especially in the South. Unfortunately, my favorite restaurant here in San Diego County, Famous Dave’s BBQ in Vista, has some stuffed animal heads in their restaurant. Fortunately, when I go with Jim and his mom and boyfriend, we always get seated far, far away from those stuffed animals. Maybe I’ll have Zoey the Coot Cat stuffed when she dies…. 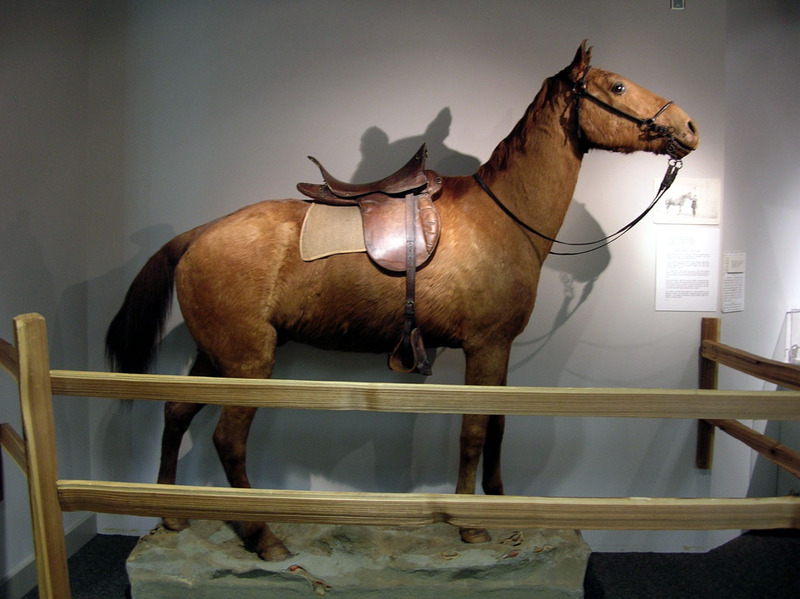 This entry was posted in Did you know?, Fauna, Halls of History, History, Nature, Photos and tagged civil war, little sorrel, stonewall jackson, taxidermy on June 16, 2015 by Russel Ray Photos. I love the way you think and write and sometimes wish you lived next door! Just “sometimes”? You’re afraid of losing your white peacocks, aren’t you? I’ve never understood the stuffed animal thing. Creepy, indeed. I can see stuff animals in certain circumstances, such as at a nature museum. Indeed, the stuffed raccoons, birds, and such don’t bother me. They would if they were in a home. But stuffing common animals that we usually are petting, feeding, and taking care of really does bug me. I totally agree. Stuffed animals give me the creeps. Roy Rogers had his horse Trigger stuffed when he died (the horse that is). Love your cat photos – I’m huge cat fan. I saw the stuffed Trigger when I visited California Summer of 1973. That might be when I first decided that stuffing our friends was creepy. I agree, cree-pee. Can you imagine having your mom stuffed instead of buried? Did you find proof that Fancy actually lived 165 years? I’ve got to find out. Google, here I come. Fancy did live a long life of 36 years considering that much of that was in various wars carrying Jackson! That does seem a grand old age for a war horse. LOL. Leave it to Ellen to put things in perspective! Oh my goodness, what a terrible thought to get Zoey stuffed! These animals do look creepy, even in museums. XXI century should let them rest in peace. 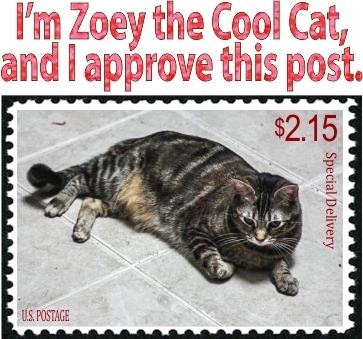 But then I could have Zoey the Cool Cat forever, albeit without all her amusing and loveable antics………. I love the cats and their antics with all my soul 🙂 Long live Zoey the Cool Cat! I must admit I did the same to some insects using resin in a science project when I was in my secondary school. I swear that I would never do it again. I did it in Boy Scouts to get a merit badge. One of the worst merit badges I earned. The butterfly collection didn’t sit well with me either. Just creepy and disgusting to kill those beautiful butterflies and stick pins in them………. Yup. Not only that, according to the server, it did so EXACTLY in the manner I had always joked about, right in the middle of some business execs’ 3 martini lunch. I wish I could have been there to see it. Zoey is looking into the cost of getting you stuffed and mounted, in case you go first.